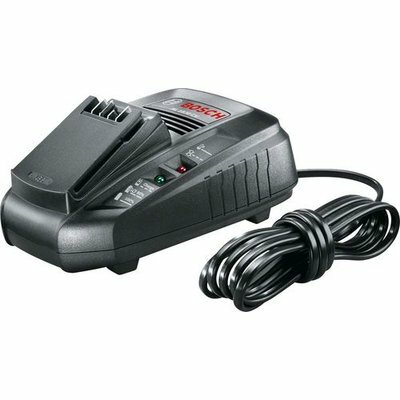 The AL 1830 CV quick charger from Bosch charges the batteries of all DIY and garden tools in the 18 V Power for ALL System and all 14.4 V batteries from Bosch. In only 40 minutes the 2.5 Ah battery is 80% charged and therefore completely ready to use. The intelligent charging process is gentle on the batteries to give them a long lifetime. The green and red battery charge indicators inform you at all times of the current charging status or warn you if the battery cannot be charged because its temperature is too high.